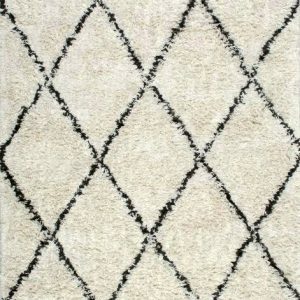 Authentic vintage carpets handmade in Morocco. 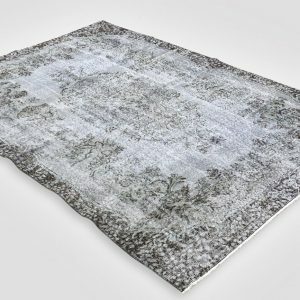 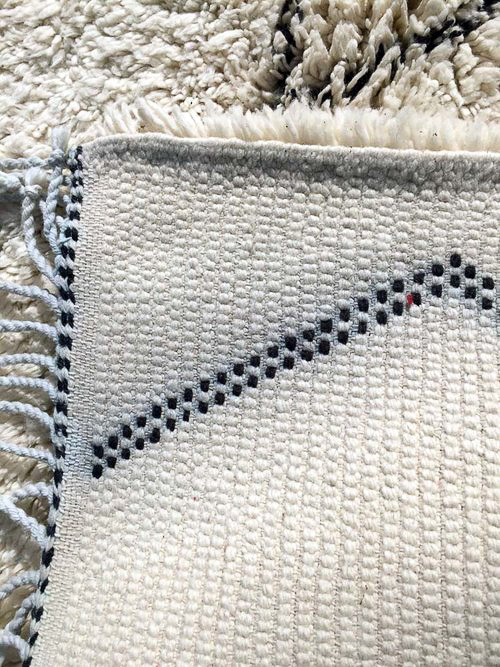 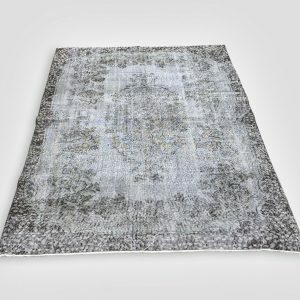 Beni Ourain carpets possess the creativity and originality of an old textile which was created with skill and care for personal use in a tribal setting, combining the needs of practical use with the archaic spirit of tribal art. 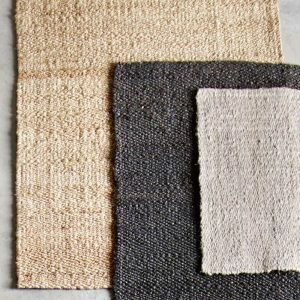 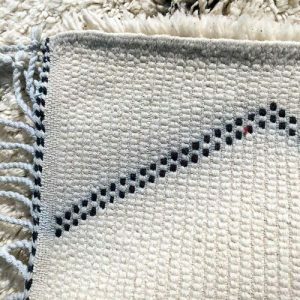 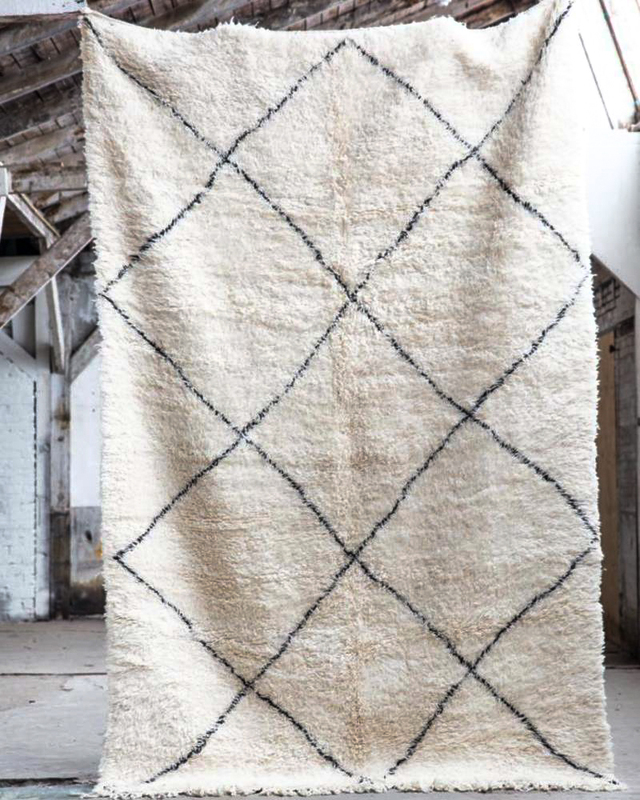 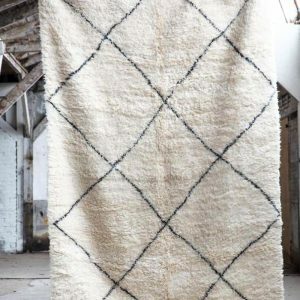 Architects and designers such as Alvar Aalto, Frank Lloyd Wright, Courbusier, Ray and Charles Eames and others used Moroccan beni ouarain carpets to contrast with and complement the clean lines of 20th century interiors. 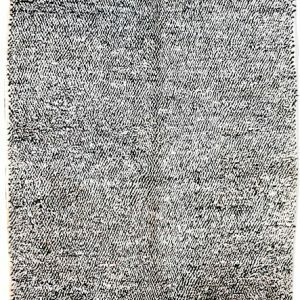 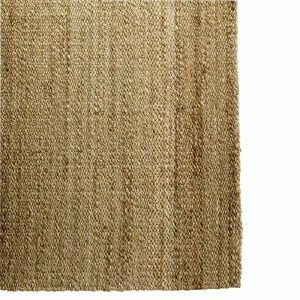 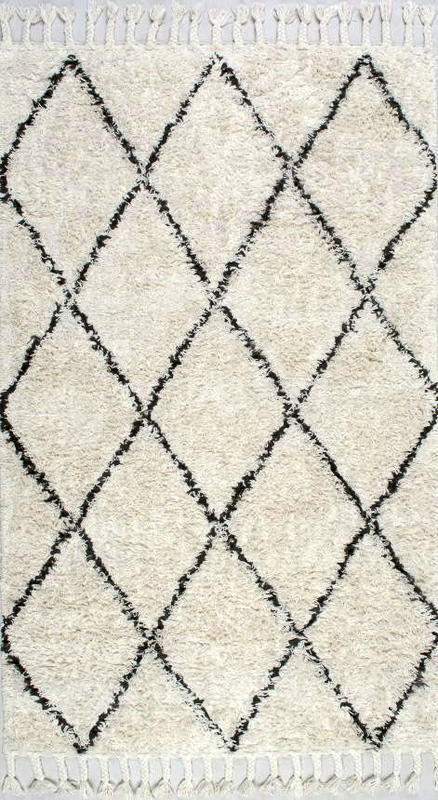 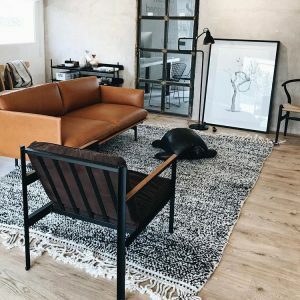 This thick and luscious hand woven carpet has an elegant lozenge grid, that is elevated into an original design by being sightly obscured by the pile in on area. 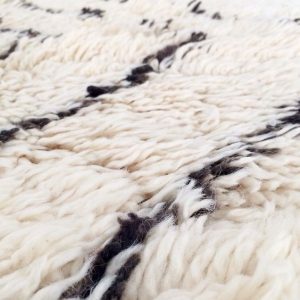 The creamy hand spun wool contrasts with black-deep brown wool. 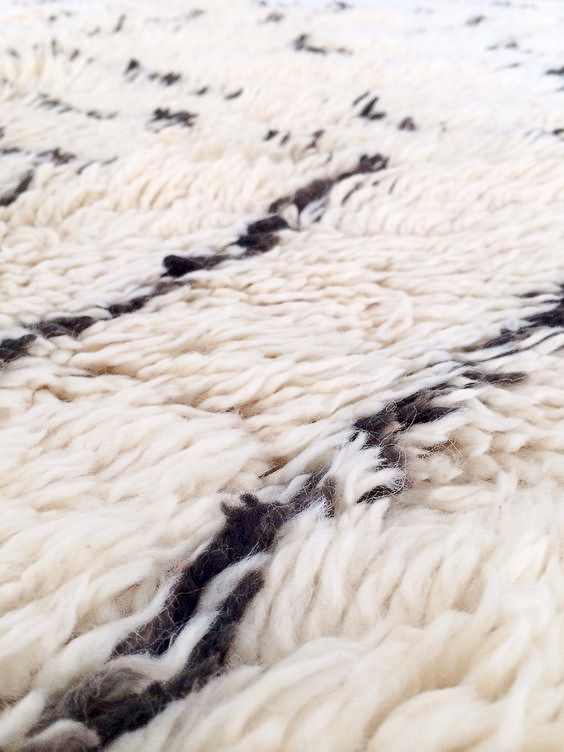 In fabulous condition, with some colour run in the plaited fringe.